The Chevrette-Marx Lectures in Constitutional Law are held annually at the Université de Montréal Faculty of Law in honour of two of its former professors. Professor François Chevrette taught public law from 1968 until his death, in 2012. He was also Dean of the Faculty of Law from 1984 to 1988. Professor Herbert Marx taught constitutional law from 1969 to 1979, when he was elected to the Québec National Assembly. From 1985 to 1988, Professor Marx was Minister of Justice. In 1989, he was appointed to the Superior Court of Québec, where he served until 2007. The purpose of the Chevrette-Marx Lectures is to present and impart original contributions to public law in a hybrid format, combining a presentation by a main speaker followed by a discussion with one or two commentators as well as with the audience. Each lecture will focus on one of three major themes: fundamental principles, federalism and civil rights. This format draws its inspiration from Professors Chevrette and Marx’s monumental work, Droit constitutionnel: notes et jurisprudence (PUM, 1982, 1728 p., 2nd ed. 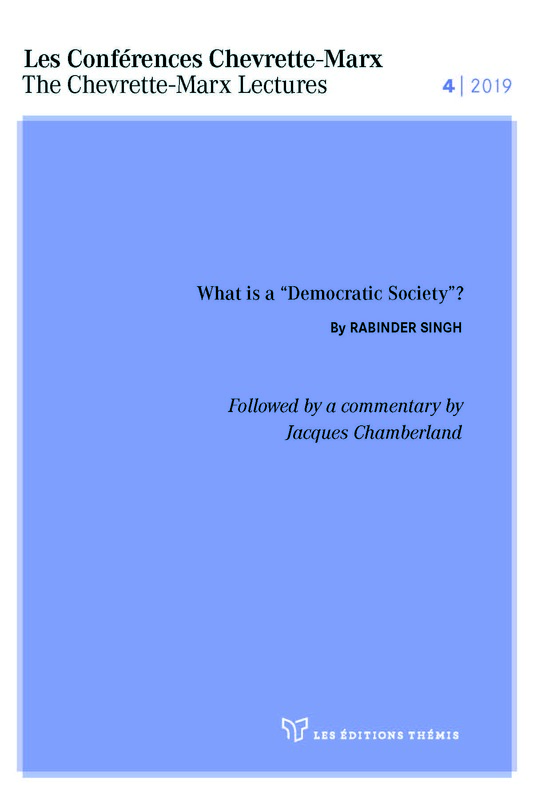 by H.-R. Zhou (Montréal, Éditions Thémis, 2016, 1246 p.)), which continues to be a reference in Canadian law. Moreover, just as the works of Professors Chevrette and Marx were not limited to the field of constitutional law, the Lectures will occasionally be devoted to other legal themes of general interest. The Chevrette-Marx Lectures are held each fall in Montreal. They have been made possible thanks to support from the Université de Montréal’s Herbert-Marx and François-Chevrette Funds. This content has been updated on 7 April 2019 at 12 h 49 min.